Had a great weekend traveling up to Savannah, GA and SC with my honey, but it is always good to be back in your own bed!. 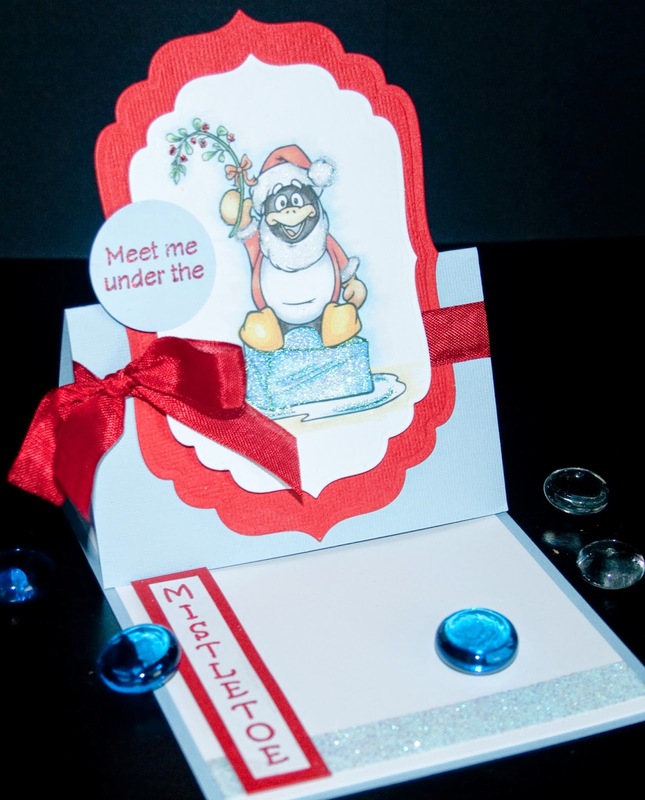 This month's Technique Video for Sparkle N Sprinkle is an easel card. 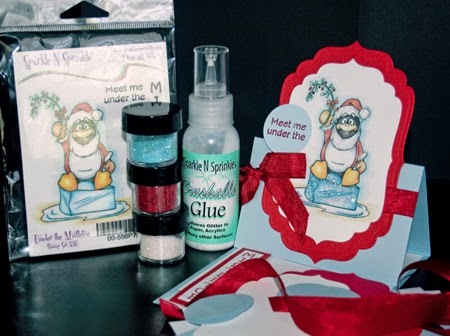 SNS is having a Christmas in July celebration so the card kit will give you a head start on your Christmas stash for the year!! This little penguin from Jan Mahew is so cute! Here is a look at the card and all you get in the kit. If you are interested in purchasing a kit you can do so here. Here is the video to show how the card is put together. Remember to do something creative today!